The Samoa Methodist Church was first established in 1828 by a Samoan, named Saivaaia followed by the first missionary in 1835. She became independent in 1964. Since then there has been an increase in the number of ordained ministers. The position of leadership is in the hands of the locals. The MCS developed many Pre-Schools, a Primary School, three Colleges and a Technical Institute as our mandate in developing programs in the areas of secular education, religious education and family life. Piula Theological College continues to feed the church in providing ministers for the local and overseas parishes as well as to equip them for overseas missionary work. Amid the challenge and the changes coming into our shore, the Samoa Methodist Church wishes to maintain her identity as Methodist in life and worship with open minds for change as we see fit. The involvement of lay people is very much appreciated and their talents and gifts in putting more life into the discussion and decision making within the church. We do encourage them and pray that more men and women may willingly answer their calling and offer their services to God through his Church. In the Conference of 2006, statistics showed that the Methodist Church of Samoa’s membership is 36,385, an increase of 1,263 from the previous five years, with an approximately 42,600 touched by the church. The number of lay preachers was 1,048 in 2001 and in 2006 1,048. The fluctuation in terms of the actual amount is owed to migration, retirement and death. Migration has affected our number from time-to-time, so our figures are not stable. However, migration also speaks for one aspect of our members as being ‘people in mission.’ Our people in American Samoa, New Zealand, USA, Hawaii and Australia decided to establish their own parishes and have continued to connect them and their children to the Methodist Church in Samoa. There are 12 Synods abroad. There are 194 parishes; 92 are overseas. These parishes and Synods are represented annually to the General Conference of the Church held every July. The Methodist Church of Samoa realizes that its task was to be a sending church, not only a receiving church. The MCS continues to send its ministers as missionaries in other countries. For this year, three Samoan Ministers are currently working for the Methodist Church in USA. We believe that the Methodist people around the world are all interconnected to their primary and common purpose for “winning souls for Christ.” Thus it is our prayer that Christ the Head lead of the Methodist Family will continue to inspire and guide us all. programs, local and regional activities for women and men as well as practical help for people in need are some of the priorities of the local churches, which combine both the proclamation of the Gospel and love in action. In a country still falling on hard times while looking for a future, they aim to help people to discover God’s love – beyond any border of ethnicity. The fact that a new generation has accepted the calling into the ministry of the church and is taking the lead regarding this aim is an important sign and a source of hope. Despite political separation of their countries, the local churches in Serbia and Macedonia still belong to the same Annual Conference. The Methodist Church Sierra Leone had its roots in the group of freed slaves who arrived in Sierra Leone in 1792. Some Wesleyan Methodists had been in Email with Dr. Coke, founder of missions, a younger contemporary of John Wesley, whilst they were in Nova Scotia. This group started to organize themselves into a church but had to appeal for help from Dr. Coke in Britian. This resulted in sending the first Wesleyan Methodist missionary in 1811, the Rev. George Warren. Work continued in Freetown, the capital town, and its environs, but also spread to the interior by the end of the century. This had continued until now and the concentration of the work is mainly around the capital, and the southern and eastern parts of the country. The church is divided into three synods, each with several circuits. Membership of the church was 38,758 up to 1998. Since then, the continuing rebel war has made certain areas of the country completely inaccessible. We have, therefore, not been able to assemble more accurate statistics for our membership. The total numbers takes into consideration the people in Guinea. Total ministerial strength is 86 (including 16 probationers). The program of the church includes education, health and community development. There are 70 primary schools and 12 secondary schools. Many of the pupils have been members of the church and have subsequently made worthwhile contributions to the life and work of the church. The number of people affected by the work of the Methodist Church is 2.1 million. The number of people benefited by the work of the Methodist Church in Sierra Leone is about one and a half million. Nixon Memorial Hospital in Segbwema, about 230 miles outside Freetown, dealt with a total of about 65,000 patients in 1995, nearly 4,000 of which were admissions. The hospital also acts as a clinic centre for primary health care programme serving the Njaluahun Chiefdom. While we wait to reopen Nixon we have opened two new health centres in Freetown and Kenema. The work in the East and South was seriously hampered due to a rebel war and escalation of violence since 1991. Too many have been killed. We are thankful to God that the violence is now generally ebbing. Two regional offices have been opened to serve displaced people in Bo (Southern Region) and Kennema (Eastern Region). We call on the world community to pray for us as we are challenged first to find peace and then to rebuild our broken communities, churches, manses and schools. The West African Methodist Church came into being in 1844 as a result of differences concerning the administrative procedures in The Methodist Church in Sierra Leone at the time, differences which sought to rid the church of the vestiges of color prejudices and the erroneous notions concerning the liability of peoples of African origin to participate fully in the affairs of the church. Formation of this independent church and its continued role and success in spreading the gospel among peoples of African decent in Sierra Leone was a significant milestone in the establishment of many African churches in the West African sub-region. The church is administered by the general superintendent who is elected from among the most senior clergymen, and assistant general superintendent elected from among the lay elders and an elected executive. An early attempt at reunification with The Methodist Church in Sierra Leone failed to materialize and the second schism took place in 1935. The West African Methodist Church has continued as an independent body. Nonetheless, an extremely cordial relationship exists between the two churches as they cooperate in many areas of Christian witness. The two churches use the same hymn book and liturgy. The doctrinal tenets of the West African Methodist Church are essentially those of Methodist churches worldwide. The West African Methodist Church has by the grace of God, from entirely local resources, established 19 churches and 3 preaching places in Freetown, the capital, and surrounding rural areas. It also operates in the Moyamba District, 120 miles from Freetown, which is served by tow churches and two preaching places. Membership of the church now stands at nearly 4,000 including some 1,200 juvenile members. The clerical strength is made up of 11 ministers in full connexion and six ministers on probation and trainees, and nearly 90 trained lay preachers who voluntarily support the clergy. The church is proprietor of two secondary schools and six primary schools, one of the primary schools being in the Moyamba District where the church also supports development work in the farming community. The Methodist Church in Singapore goes back to 1884 when, on James Thoburn’s initiative, the South India Conference appointed William F. Oldham as pioneer missionary to Singapore. Thoburn headed the party which sailed unheralded into Singapore harbor on 7 February 1885. Evangelistic meetings were followed by the first Quarterly Conference on 23 February. Thereafter, the mission initiated a number of related activities: schools for boys and girls established by Oldham and Sohia Blackmore, with hostel accommodation; churches organized in all the main local dialects (Malay, Tamil, Hokkien, Cantonese and Foochow); and William Shellabear’s Mission Press and pioneer scripture translations and publishing work. Following the initial thrust in Singapore, work spread to the towns and rubber estates in Peninsula Malaya. Town churches were twinned with schools which provided important support for the churches. Expansion and growth graduated the mission to the Malaysia Annual Conference in February 1902. Equally significant were the planting of Methodism in the Philippines in 1900 and the settlement of Foochow Christians in Sarawak and in Sitiawan (Malaya) after the Boxer War. This was followed by Java, then Sumatra. A Tamil and Chinese evangelists were engaged from Ceylon and South China. By the end of World War I, young people who had studied in the schools, attended the churches, Sunday Schools and Epworth League had matured. Local leadership was, however, expressed mainly in churches using the Chinese dialects, Malay and Tamil. The Jubilee in 1935 reflected the development of human resources through the rapid growth of Methodist schools in number and quality, the success of the youth and women’s work, all forming a local talent pool. With the collapse of Singapore following the outbreak of the Pacific War and the suspension of American missionary support, local Methodist leaders carried on under trying circumstances. A turning point had been reached, and profound change had begun to take place. When hostilities ended in 1945, a period of physical and psychological reconstruction began. The founding of Trinity Theological College, the fruit of ecumenical prison fellowship and a significant cradle of local and regional church leadership, was an important milestone. The other was a new relationship in the U.S. Methodist Church with the constituting of the South East Asia Central Conference in 1950, and the American mission. Led by maturing local clergy and lay leadership, the church has grown significantly. stands for a common Christian witness. The UMC in Slovakia and in the Czech Republic is organized in a cross-border Annual Conference with two districts. Methodism came to South Africa with the British garrison in 1806, but the mission was launched by Barnabas Shaw who reached the Cape in 1816 and William Shaw (unrelated) who arrived in 1820 with the British settlers and rapidly established a chain of mission stations between the Cape Colony and Natal. Methodism spread to all parts of Southern Africa and drew its membership from all sections of the community. It was a non-racial church from the outset, although it was deeply affected by prevailing social customs, and is still endeavoring to give true affect to this character. Six missionary districts of the Wesleyan Methodist Church became an affiliated conference in 1883. An independent conference was constituted in 1927 and enlarged in 1832 to include the Transvaal District and the Primitive Methodist Mission. Census figures reflect a Methodist community over 2.1 million, most of whom claim affiliation to the Methodist Church of Southern Africa. According to a church census conducted in 2000, there are 683 ministers, 5,078 congregations and 2,888 preaching places. An inventory of some of the ministries of the connexion include: pre-school, ministries to the homeless, ministries to informal settlements, hospice type ministries, ministries to prisons, HIV/AIDS ministries, poverty alleviation projects. Through membership in the World Methodist Council, World Council of Churches, All Africa Council of Churches, South Africa Council of Churches and Christian Unity Commission we endeavour to develop relationships with other Christians churches in South Africa and throughout the world. The first Wesleyan congregation in Switzerland was founded in Lausanne in 1840. The Methodist Episcopal Church began its work sixteen years later in Lausanne and Zurich. And finally, the Evangelical Brethren Church founded its first congregation in Berne in 1866. Today’s UMC in Switzerland was formed, after various unification processes, from three different Methodist movements. The Church grew and soon Switzerland was itself the source of missionary work. Men and particularly women were sent out to nearly all continents to do good works, to teach people about God, and to help build new congregations. This resulted in lively relationships, which have not ceased to exist till the present. In addition to the ministries with children, teenagers, and youth the last third of life increasingly becomes the focus of attention of the congregations. Furthermore, there are missionary activities and serving ministries at many places, and congregations are opening themselves by initiating programs based on the needs of people not affiliated with any Church. The cooperation with other Churches is another important priority and is considered to be an active contribution towards a common Christian witness. The fact that the Methodist work is carried out in an increasing number of languages is also distinctive of the UMC in Switzerland. 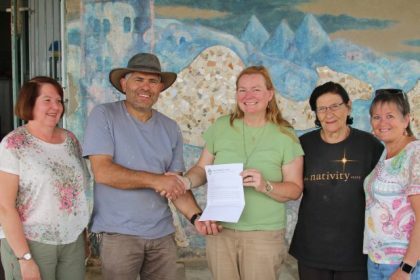 Finally, the Church maintains close ties with various social and other institutions (Bethanien/Bethesda Charities, homes for the elderly, group living facility for mothers and children, home for people with special needs, hotels, retreats).